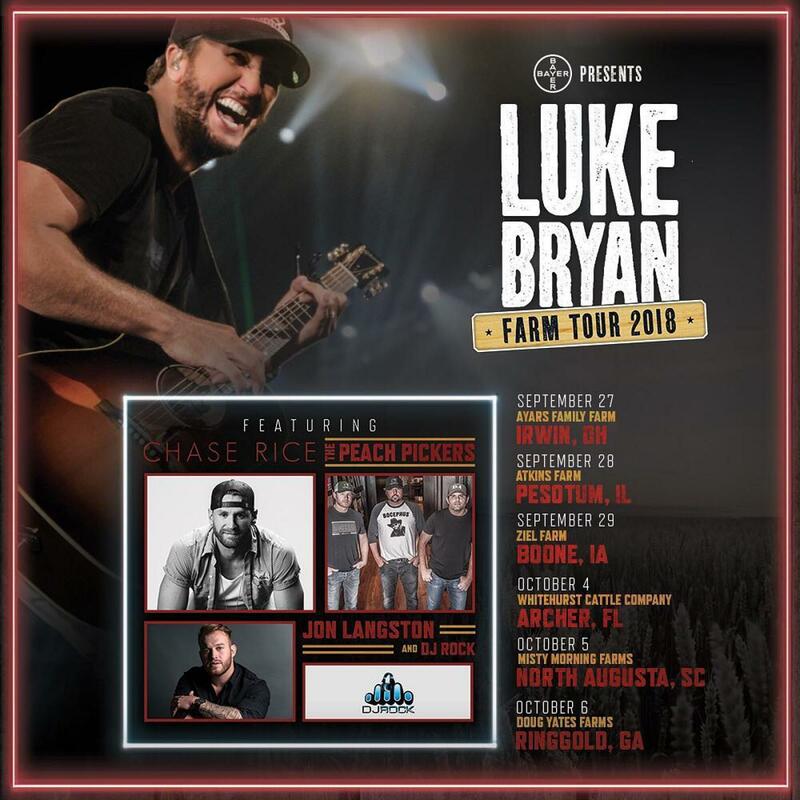 Luke Bryan is celebrating a decade of saluting the American farmer as he takes his tenth annual Farm Tour 2018 to six cities this fall setting up stages in the fields of local farms from Ohio to Florida. Joining Luke as guests this year are Chase Rice, Jon Langston, the Peach Pickers and DJ Rock. Over 100,000 fans have attended the tour each year since its inception in 2009. Luke will continue giving back to the farmers by awarding college scholarships to students from farming families who are attending the local college or university near the tour stops. To date, more than 50 scholarships have been granted. Tickets for the “Bayer Presents Luke Bryan Farm Tour 2018” are on sale now at www.lukebryan.com/FarmTour, through Luke’s official App and for Citi® cardmembers at www.CitiPrivatePass.com. Bayer continues their #HeresToTheFarmer campaign. For every share, Bayer will donate a meal to someone in need through Feeding America®. In years past nearly 2 million meals have been donated and $140,000 went to area food banks and local farmers in each of the tour cities.Visit HeresToTheFarmer.com to learn more.